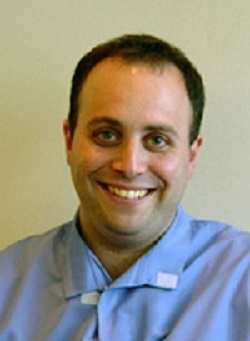 Dr. Andrew Fried has practiced Dentistry in Maryland for 11 years. He is well versed in all aspects of comprehensive dental care, including restorative and cosmetic dentistry, implant placement and restoration and non surgical and surgical therapies for gum disease. Dr. Fried completed dental school at University of Pennsylvania in 2000. He has received further training in Periodontology, Oral Medicine and Implant Dentistry at the University of Tennessee. He has participated in a wide variety of continuing education and is dedicated to maintaining the highest level of dental care in his practice. Dr. Fried is the proud father of two daughters. In his spare time, he enjoys running, swimming, reading and is a passionate Duke Basketball fan. At Perry Hall Family Dental High, we provide only top quality family dental care — for you and your loved ones.